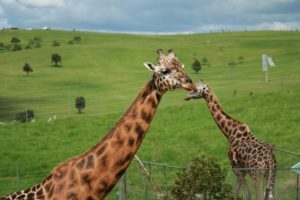 On Saturday 10th March Sweet Louise hosted a day at Gibbs Farm Sculpture Park, and thanks to you, it was a fantastic success. 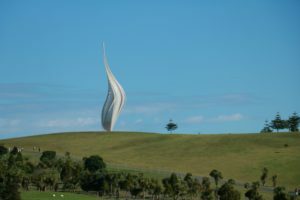 Gibbs Farm Sculpture Park is situated on the Kaipara Harbour, North West of Auckland. It is a private farm, owned and treasured by Alan Gibbs and his family. 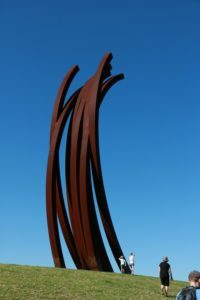 It contains the leading collection of large-scale outdoor sculptures in New Zealand, as well as an array of animals including emus, bison, zebras and two giraffe! Not only were we lucky enough to have the farm on a Saturday, we were also blessed with a cloudless sky on what now feels like the last hurrah to summer. Families and friends came with picnics and plenty of sunblock for a day of walking and sculpture musing. With coffee from Cafe2U and Mr Feel Good popsicles for extra energy, the crowds were ready for the 7km walk around the farm. We hosted a sellout event, which we couldn’t have done without the help of you. To all those who came and supported Sweet Louise on the day, thank you so much! Your generosity has meant we raised an amazing $70,000 to help our members. We are so grateful to all of you who came, and hope you enjoyed it as much as we did. 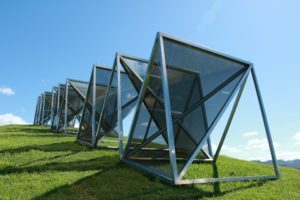 Lastly, a special thank you to all the amazing staff at Gibbs Farm who helped us on the day, to Rachel who led this event with her boundless energy and sharp organisation, and of course, to the Gibbs Family who opened up their magical home to all of us. To look at all the pictures of the day, click here and check them out on our Facebook Page.